Inspiring people to change body, mind and spirit. Have you ever thought, "Something needs to change?" But just aren't sure what? I can help improve mindset and motivation, enhance communication and leadership skills and help you decrease stress. All with a healthy dose of humor. I deliver life-changing information in a fun and down-to-earth manner. My unique ability to see situations from multiple angles and offer solutions makes me the perfect addition to your team, organization or to help you, as an individual. -Enhance the bottom line, inspire and retain staff. -Strengthen teams and improve communication amongst all the players. -Skyrocket leadership with practical presence. I help high stress individuals and companies learn to shift mindset. I act as intermediary between teams and leaders, help improve communication, decrease stress and encourage different choices when it comes to life and work. Dr. Kathy Gruver is an internationally recognized speaker, award winning author, TEDx speaker and motivational powerhouse. She will move you with her passionate storytelling, provide you with actionable tools, and leave you empowered to change your life. Gruver has written 7 books, which have earned 12 awards, and has presented on 4 continents, 3 cruise ships, and a handful of islands. Dr. Gruver speaks on topics such as transforming your corporate and organizational culture, enhancing communication, creating true leadership with practical presence, decreasing stress, personal and professional growth, and building a powerful team. Kathy helped develop a stress reduction program for the US military and has studied mind/body medicine at the famed Benson-Henry Institute for Mind/Body Medicine at Harvard. Dr. Gruver is an award-winning author, health practitioner, PhD, and TEDx speaker, and is the host of the national TV series, The Alternative Medicine Cabinet. 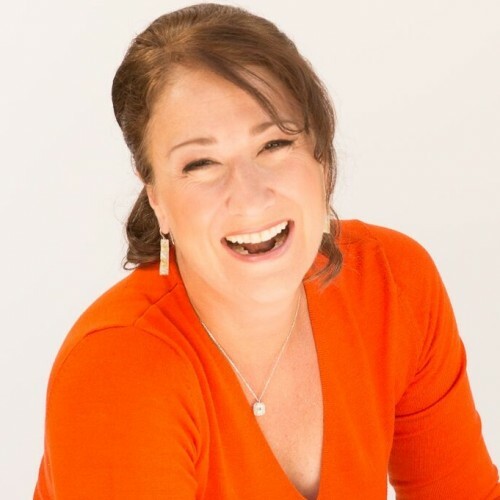 Dr. Kathy Gruver has earned her PhD in Natural Health and is a Santa Barbara-based natural health practitioner with over two decades of experience in massage and hypnotherapy. She has penned countless articles, contributed as an expert to dozens more, and appears regularly as an expert on radio and TV. Kathy lives in Santa Barbara, California with her husband and two cats. For her own fun and stress relief, Kathy does hip hop dance and flying trapeze (yeah, really). Journey of Healing. One woman's path towards healing self and others. Body Mind Therapies for the Bodyworker. My book Journey of Healing has won USA Best Book Awards, Beverly Hills Book Awards, Pinnacle Awards, Indie Excellence Awards and the non-fiction category of the London Book Festival. My book Conquer your Stress has won the Indie Excellence Awards, Beverly Hills Book Awards, Global E-book Awards, Irwin Awards, and was a Finalist for the USA Best Books Award. My book The Alternative Medicine Cabinet (now a TV series) has won Beverly Hills Book Awards and was a finalist for the IndieExcellence Awards. I was selected as a winner of the Spirit of Entrepreneurship Awards in the Fitness and Beauty category by the National Association of Women Business Owners. Find out more about Dr Kathy Gruver at http://www.kathygruver.com.